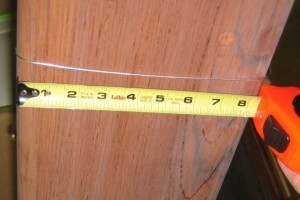 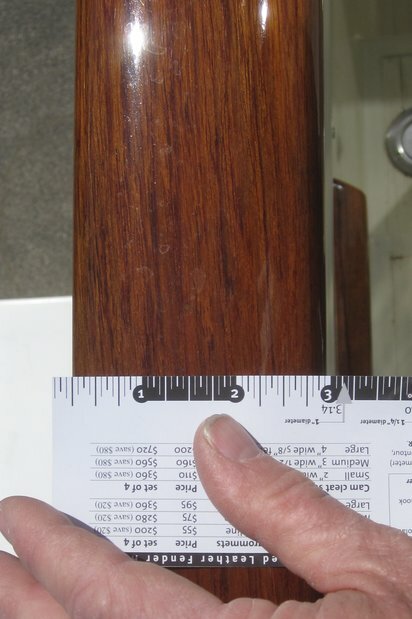 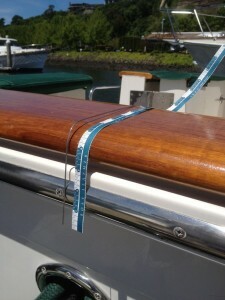 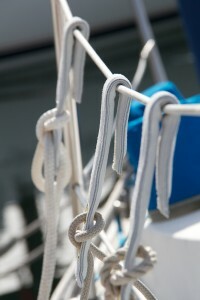 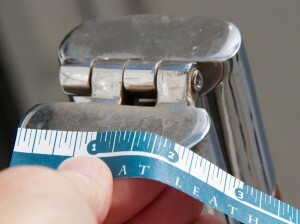 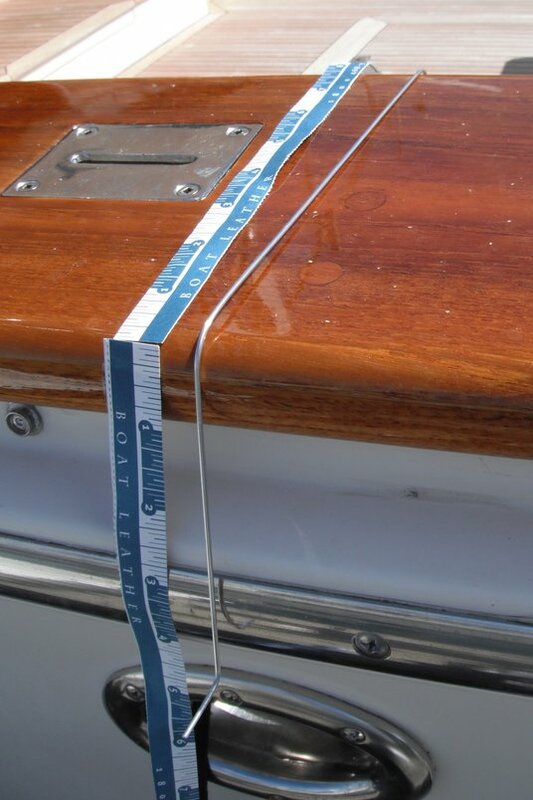 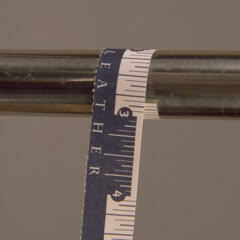 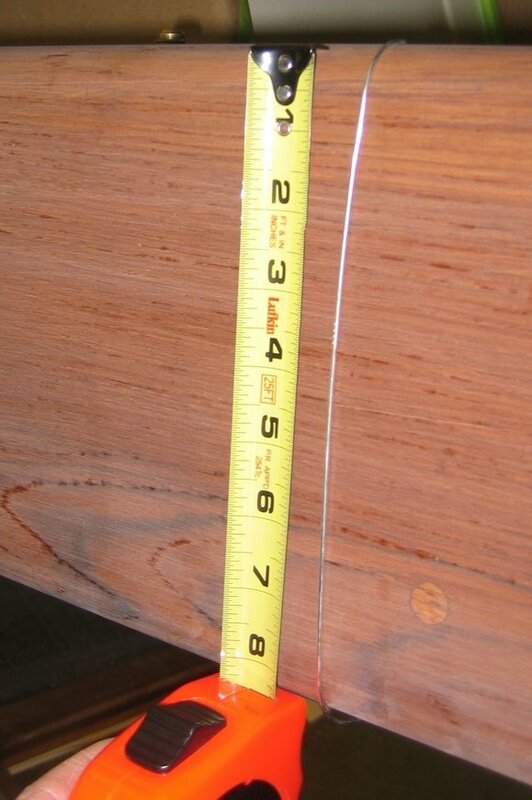 Securing fenders on hand rails can be difficult and fender line chafe can cause damage to your boat. 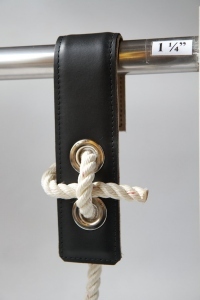 Boat Leather provides a brass hook encased in leather with a brass grommet. 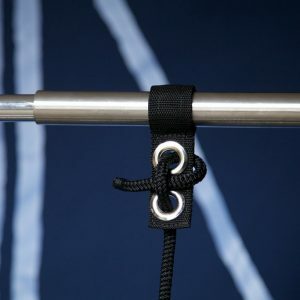 Simply tie your fender line through the brass grommet and hang the fender in place. 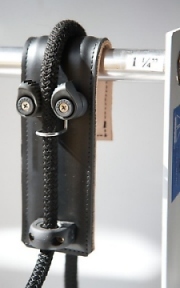 The blue-gray leather contains no dye and has a suede finish to prevent abrasion. 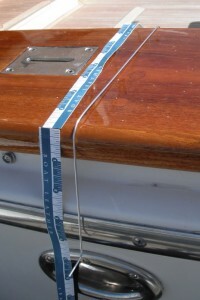 Use a firm wire to outline the contour, then copy, trace or scan & email to Boatleather. Add $35 for a sheepskin lining (in place of the buff tan leather). 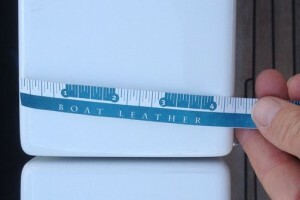 Other leather colors are available. 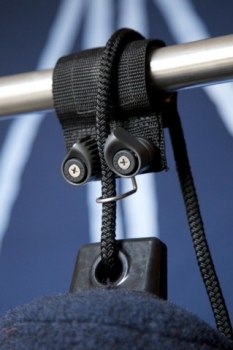 To custom order your hook: use a firm, but flexible wire to outline the contour of the application, then copy, trace or scan the outline and email to Boat Leather.